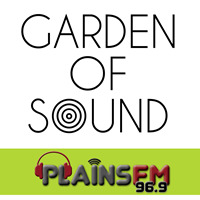 Garden of Sound is an interview based music programme, with each week’s guest asked about composition, production, performance and their musical influences. The interview subjects are drawn from in and around Christchurch, New Zealand and include emerging and established musicians; producers, mixers and engineers; music teachers, conductors and band leaders; music publicists and high profile artists with roots in Canterbury. The programme is presented and produced by Ian Turner, a Christchurch born musician, writer and producer. Garden of Sound is supported by the alcohol-free lifestyle brand The Nephalist. Raised in Christchurch, Ian quickly fell in love with music, performance and song writing. Amateur dramatic roles and playing alongside some of New Zealand’s top recording acts of the 90’s led to touring NZ and Australia with the rock opera Jesus Christ Superstar. Ian then returned to Christchurch to begin a Bachelor of Broadcasting Communications degree, at the New Zealand Broadcasting School. Post his qualification Ian worked in presentation, production, marketing and creative roles in Christchurch and Nelson, while continuing his work in music theatre and with local bands. This was followed by a move to London, to establish himself as one of the United Kingdom’s leading on-air fundraisers, delivering annual financial appeals, to an audience of 1million weekly listeners. Ian returned to Christchurch in early 2017 with his wife Natasha (co-founder of The Nephalist) to bring alcohol free lifestyle events incorporating music, dance and the arts to the mainland. Both Ian and Natasha are excited about the depth of talent in Canterbury able to be shared with the rest of the world through programmes like Garden of Sound. Ian chats to founder of folk / country collective The Eastern, Adam McGrath about his upcoming New Zealand wide tour. Ian in conversation with Naomi Ferguson, playing Killer Queen in the Showbiz Christchurch production of We Will Rock You. Ian in conversation with one of Christchurch's leading Musical Directors, Richard Marrett. Ian chats with Hera Hjartardottir. Ian chats with James Meharry. Ian chats with Mel Parsons. A 5 piece from Rangi Ruru Girls School in Christchurch and recent performers at Garden of Sound:LIVE. Ian in conversation with Christchurch music artist Prins. Ian chats with founding member of Zed and Atlas, Ben Campbell. Ian chats with Jon Toogood.